What Twilio Triggers and Actions Are Supported? New Recording - Triggered when a new recording is available on your account. New Transcription - Triggered when a new transcription is available on your account. New Call - Triggered when a call is finished on your Twilio number. New SMS - Triggered when an SMS is sent to your Twilio number. New Phone Number - Triggered when you add a new phone number. Call Phone - Call a number or numbers and say a message. Send SMS - Send a SMS to a number or numbers. 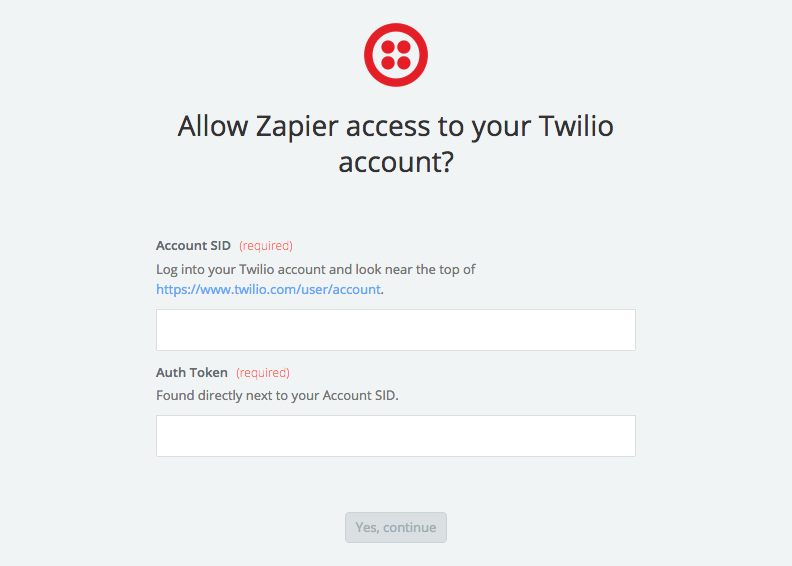 To get started with Twilio on Zapier, first you will need to connect your Twilio account to use with your Zap. You will then be asked to provide your Twilio Account SID and Auth Token. 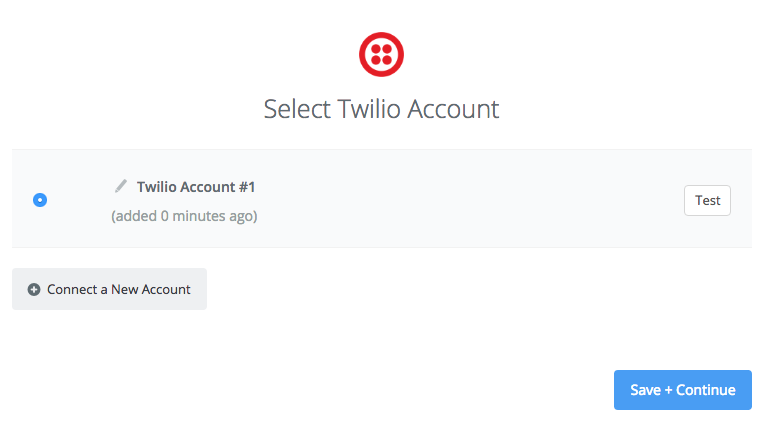 After logging in to your Twilio account locate your name in the top right of the page. Click it, select 'Account', and then on this page, under API Credentials, will be your Account SID and Auth Token. There will two sets of credentials, one labeled 'Live' and the other 'Test'. Enter your 'Live' credentials to connect your account to Zapier. Paste those details into the 'Connect an Account' window and then click the continue button. You can now use this account with Zapier. When your Zap runs (either every 5 or 15 minutes, depending on your plan), Zapier is only able to see the last 50 messages. If you receive more than 50 messages between cycles, the Zap would miss all but the last 50 messages received since the last time the Zap ran. Zapier supports MMS for the 'Send SMS' action, but not for SMS triggers. To take advantage of that action, you'll need a direct link to the file so you can insert it under the 'Media URL' field in your zap. Yes, there is. Media may include up to forty seconds of video, audio, one image, or a slideshow of multiple images. The Send Digits field is a string of numbers that are dialed after the call is connected, but it does not forward the call to a new number. It is meant more to respond to menu options, like "push 1 to talk to sales". We don't currently support forwarding a call via Twilio, but if you email us we'll add your vote to the feature request.